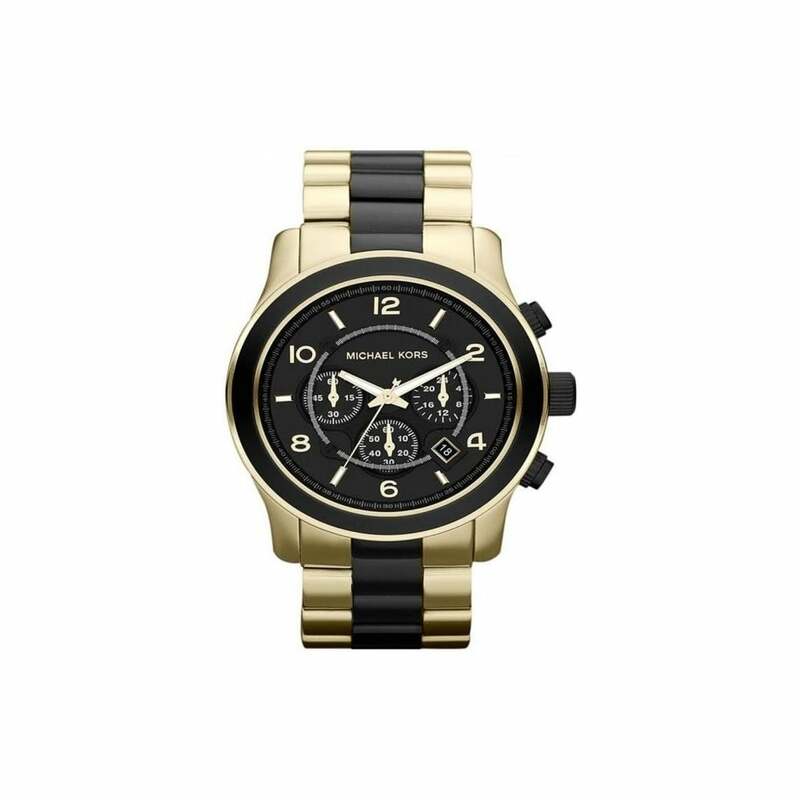 Very handsome men's Michael Kors MK8265 Runway watch is made from PVD gold plating and is fitted with a chronograph quartz movement. It fastens a black metal bracelet and has a black dial. The watch also has a date function.